Deep garnet in colour and smelling of luscious red plums and black cherries, deftly seasoned with anise, cinnamon and mocha. Dense fruit weight of blackberry, plum and cherry, laced with liquorice and cocoa. The mouthfeel and texture of the wine is rich, velvety with finishing chewy tannins. 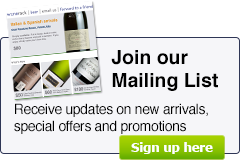 Howard Park Wines is Western Australia's largest boutique family-owned winery producing a range of handcrafted fine Australian wines from the state's premier grape growing regions of Margaret River and the Great Southern. 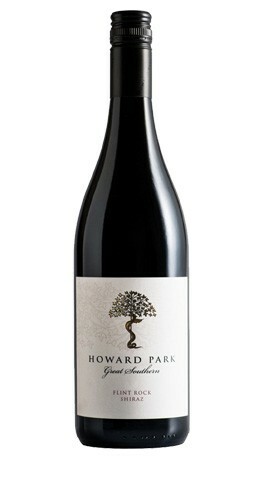 Since its inception in 1986, Howard Park’s philosophy has been to craft outstanding boutique Australian wines of great subtlety, character, balance and elegance with an uncompromising commitment to quality. The name “Flint Rock” epitomizes the fine mineral structure and savoury elegance of wines grown in the wildly remote and awesomely beautiful Great Southern region of Western Australia. This Howard Park regional selection draws upon the varietal heroes of the three primary sub-regions; Mt Barker, Porongurup & Frankland River to make wines that showcase regional typicity.